National Philanthropy Day is a celebration of Central Virginia’s philanthropic spirit. The awards given at the luncheon recognize the leaders in the community who make a true impact on the quality of life, cultural vibrancy, and fabric of our region. 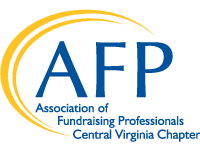 Since 1996, Central Virginia’s AFP Chapter has honored philanthropists, businesses, and volunteers for their impact in Central Virginia and beyond. This year's National Philanthropy Day will take place on Thursday, November 14, 2019, at the Greater Richmond Convention Center. For more information, visit http://rvanpd.org/.